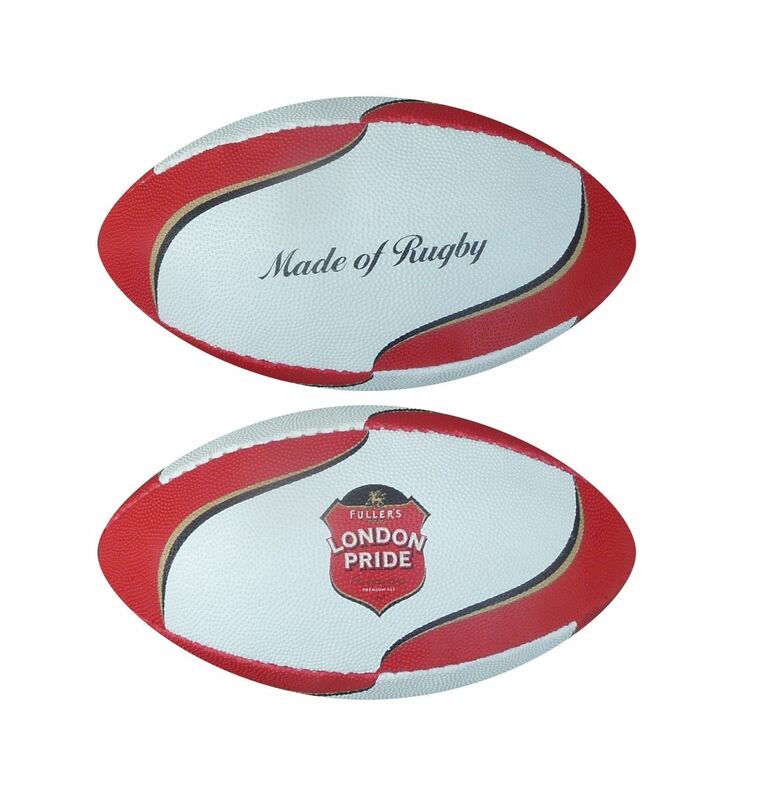 Pimpled Grain Mini Rugby Ball, Size 0. Popular giveaway made in rubber to replicate a mini match ball. Printed t all 4 panels and can be colour matched. 16-17cm in length. 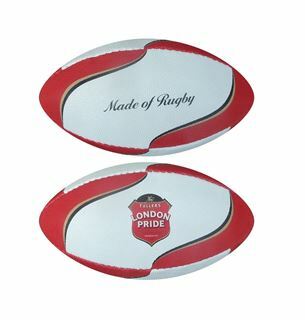 Perfect for rugby related giveaways.